Mark Fettig - Mowbray & Son, Inc.
Mark Fettig attended Bismarck State College for HVAC after his high school graduation. Upon completion, he worked for B & C Heating in Grand Forks, ND. 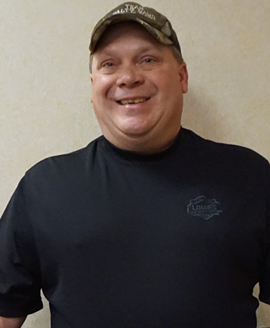 Mark began his career at M & S Sheet Metal, Inc in July of 1987. At this time, he joined the Sheet Metal Workers Union Local #10. Mark started as a Pre-apprentice and then spent his time at M & S Sheet Metal, Inc to earn his Journeyman status. He is currently a Foreman for the Sheet Metal Division. Over the years, Mark has worked with and trained on-site several sheet metal employees through their apprenticeship. Mark is certified in Quality Control and CPR/First Aid. He has been a Foreman for several projects at the MAFB and several projects within the city of Minot which include John Hoeven Elementary and the Ward County Office Building. His years of experience make him a valuable asset on any project.